A new generation of clothing brands is appealing to young consumers' desire for ethically produced fashion — while older, more established labels are getting left behind. These days, it&apos;s hip to be green. The conscious consumer movement that has changed the way Americans buy their food, choose their beauty products and fuel their cars over the past decade or so has, in more recent years, extended to fashion, giving rise to corporate responsibility initiatives from companies as diverse as luxury conglomerate Kering, outdoor supplier Patagonia and fast-fashion behemoth H&M, as well as a host of startups looking to cater to ethically minded shoppers, like Reformation and online retailer Zady. Sustainable, or eco, fashion is not a new concept. Americans&apos; concern with how their clothes are made — and the social and environmental consequences of their manufacture — has waxed and waned over time, peaking with the political and social movements of the late &apos;60s and &apos;70s, and again in the early &apos;90s, when Nike and others came under fire for employing sweatshop labor abroad. While interest in sustainable fashion has certainly been on the rise for the past decade or more, one could point to the meteoric rise of fast fashion and the 2013 collapse of the Rana Plaza factory in Bangladesh for bringing special attention to the issue in the past few years. But fashion that is ethically produced and environmentally — I won&apos;t say friendly, but let&apos;s say less damaging — is facing some serious hurdles. Among them: widespread demand for the inexpensive, trendy products being churned out by fast fashion retailers like Forever 21 and H&M; a complex, and opaque, supply chain resistant to change; and a pervading belief that, when it comes down to it, shoppers will always choose a $15 T-shirt over a $45 version made of organic cotton. When Lucio Castro launched his namesake menswear line five years ago, he "wanted to be as eco-friendly as possible, to use all organic fabrics, to keep the carbon footprint in transporting my materials low, to have all the trims done in fair-trade workshops, because I had been working with big companies for a long time and I just wanted to be transparent," he recalls. 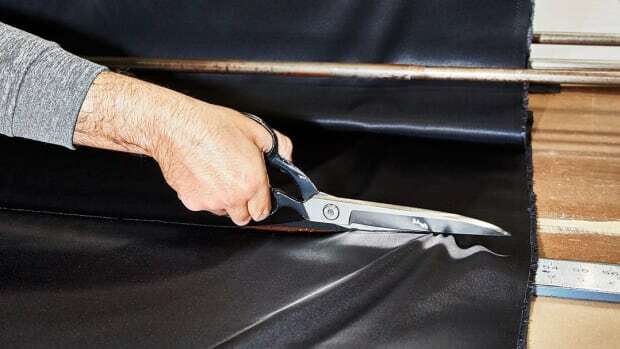 Stores told him that customers "didn&apos;t care" about his production methods, and that it was better to have a lower price point than to insist on certain fabrics or, say, zippers made in a factory in Switzerland that uses LED lighting. He&apos;s since made some compromises: He now uses some non-organic fabrics in his collections, but insists on knowing his factories and being transparent about his supply chain. "[Change] hasn&apos;t happened the way I thought it would five years ago," he says. "I thought, [as with food], there would be organic stores [for fashion] by now. But even from the fashion industry, there&apos;s not much support or interest in promoting [sustainable brands]." "I think fashion is dangerously behind on sustainability," says Elizabeth Cline, journalist and author of "Overdressed: The Shockingly High Cost of Cheap Fashion." "Part of it is that we&apos;re at peak obsession with fast fashion. Consumers want the absolute latest trend at the lowest possible price. They want to look like what they&apos;re seeing on Instagram, and they want it now, and they want it for the lowest price." This insatiable demand for newness is why Forever 21 stocks 539 new products every single week (per data provided to Fashionista by Edited); why H&M has, since 2013, opened more than a store per day on average; and why Americans now buy an average of 64 clothing items per year — and dispose of them just as quickly. Fashion consumers want their clothing fast and cheap, but they aren&apos;t yet aware of the price they — and the environment and laborers — are paying. Consumers who fork over a few more cents for an organic apple do so with an understanding that it&apos;s better for their health; when they buy an inexpensive shirt made in Mexico or China, it may not occur to them that they&apos;re more likely to be exposed to toxic chemicals that also pollute the local water supply. Likewise, they might feel a Marie Kondo-induced zen when cleansing their wardrobes of trendy purchases each season, unaware that the vast majority of their discarded clothes end up in landfills or for resale overseas. Change won&apos;t come easy. From fiber harvesting to final inspection, a single garment can pass through dozens of hands — and possibly half a dozen countries — before it ends up in someone&apos;s closet. "Most fashion brands don&apos;t even know where their factories are sourcing their materials," says Cline. "How can we fix the energy, the carbon, the water footprint if brands don&apos;t have a good understanding of their supply chain?" 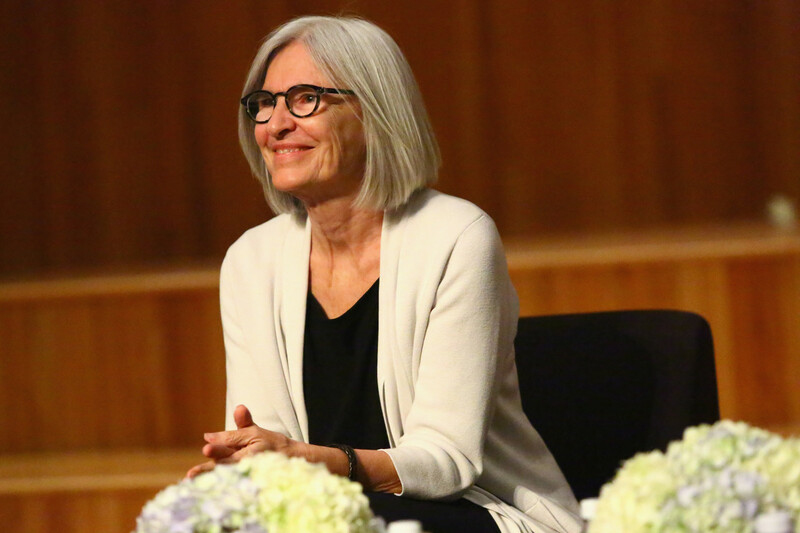 Eileen Fisher is one of the few major clothing brands to give its supply chain a major overhaul in order to introduce more eco-friendly materials, including organic and recycled fibers, to its customers — and the company&apos;s journey underlines just how difficult, and lengthy, a process it can be. It was a decade ago that the brand&apos;s designers began asking their suppliers for more sustainable fabrics, and they were met with considerable resistance. "Mills didn&apos;t want to work with recycled or organic fibers," Shona Barton Quinn, sustainability leader of Eileen Fisher, recalls. "They&apos;d say, &apos;Oh it costs too much,&apos; or &apos;It&apos;s not as strong as conventional cotton,&apos; or &apos;I can&apos;t find it.&apos; Or they&apos;d say we weren&apos;t ordering enough yards. Eventually they knew we were serious about it — but it took time." The luxury end of the fashion spectrum has yet to embrace sustainable fashion in a major way. While Kering talks about its sustainability initiatives as a group, and has made applaudable efforts to become more knowledgable about its supply chain, it does not extend the discussion to the brand level; and with the exception of a handful of labels, like Maiyet and Stella McCartney (which is owned by Kering, but follows its own set of initiatives), it&apos;s not an essential part of designers&apos; brand messaging. The focus continues to be on image and design, perhaps also on the country of manufacture and an emphasis on artisanship, but otherwise sourcing and production processes remain largely opaque. Looking at the amount of attention sustainability has generated in the fashion media and on industry panels as of late, it feels as if we&apos;re on the very cusp of change. Cline draws a parallel to fast food: "If you told fast-food consumers in the &apos;80s or &apos;90s that fast food was bad, they wouldn’t have been ready to hear it. I think that&apos;s where we&apos;re at in fashion." Indeed, a growing number of studies show that consumers across the globe are willing to pay more for products from companies committed to having a positive social and environmental impact. Change may take time, but it&apos;s coming. The quick ascendency of brands like Everlane, Reformation, Cuyana and Zady — all of which have been vocal advocates for supply chain transparency and sustainable fabrics — is a testament to their (and their investors&apos;) belief that shoppers now care. That shift has come about rather suddenly: In fact, when Yael Aflalo launched Los-Angeles based label Reformation in 2009, the company didn&apos;t talk about its use of recycled vintage garments and deadstock fabrics for the first few years on the advice of its former PR agency, which told Aflalo that such messaging was "not going to resonate with fashion consumers." "For a little while I listened," Aflalo recalls. "But we had seen the change in the automotive industry, seen the change in the food industry, where people [were expressing demand for] sustainable options. And [we knew] fashion was going to be next. I think it&apos;s just going to be a steady march, it&apos;s been changing over past few years and will continue to change." Ultimately, it may be the new brands that become the vehicle for such change: It is, after all, much simpler for a startup company to build a transparent supply chain than to try to force an overhaul on an existing one. But that doesn&apos;t mean more established, complex companies can&apos;t try, and certainly the progress Kering, and more especially Eileen Fisher, have made in this regard should inspire others to follow suit — or else be rendered irrelevant to a generation of consumers who demand more care and transparency from the brands they choose to give their dollars to.